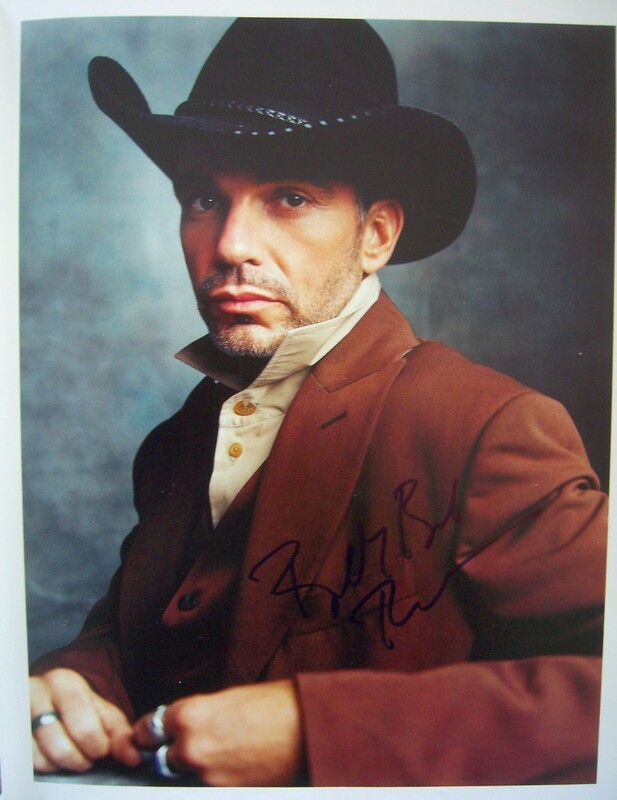 11x14 inch full page spectacular photo shot for Rolling Stone removed from photographer Mark Seliger's coffee table book Physiognomy, autographed in blue marker by Oscar nominated actor Billy Bob Thornton (Sling Blade, A Simple Plan, Monster's Ball, etc). Suitable for framing. Obtained from the estate of an in-person collector who evidently had excellent access to Hollywood celebrities and entertainers. With certificate of authenticity from AutographsForSale.com. ONLY ONE AVAILABLE FOR SALE.